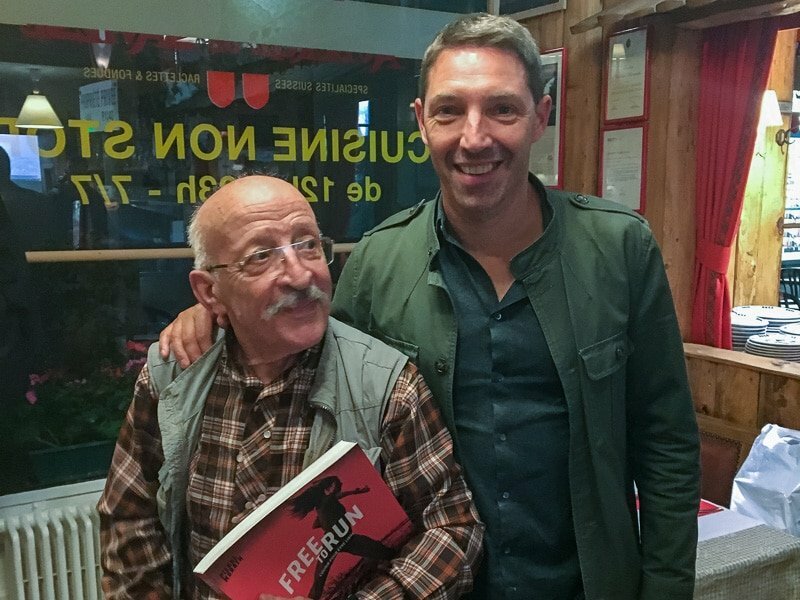 A great moment of emotion yesterday at the Auberge de Savièse on the occasion of the meeting between the director and author of the book Free to Run, Pierre Morath and the relentless Noël Tamini. For those who would not know, Noël was one of the pioneers of jogging in the early 1970s and also the founder of Spiridon magazine. It is with great pleasure that Pierre Morath gave him a signed copy of his book that depicts the fabulous history of running. You enjoyed this article? Share it with your friends!